Are you feeling the same way…Christmas snuck up on you and then you really never got a chance to enjoy it properly? Are you having Christmas music withdrawal? Well then you’ve come to the right blog…(Don’t worry you can keep your Christmas decor up till Super Bowl, we don’t judge) We’re going to showcase a few of the homemade presents we gave this year over the next few Sundays because now it’s finally safe to spoil the surprise! (Nearly all the presents have arrived to their final destination, minus two. Thanks UPS, grrrr!) The featured gift today was for my mother in law and sister in law to remember our family holiday vacation this year. 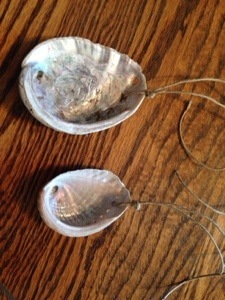 First cut and loop some twine through one of abalone holes. 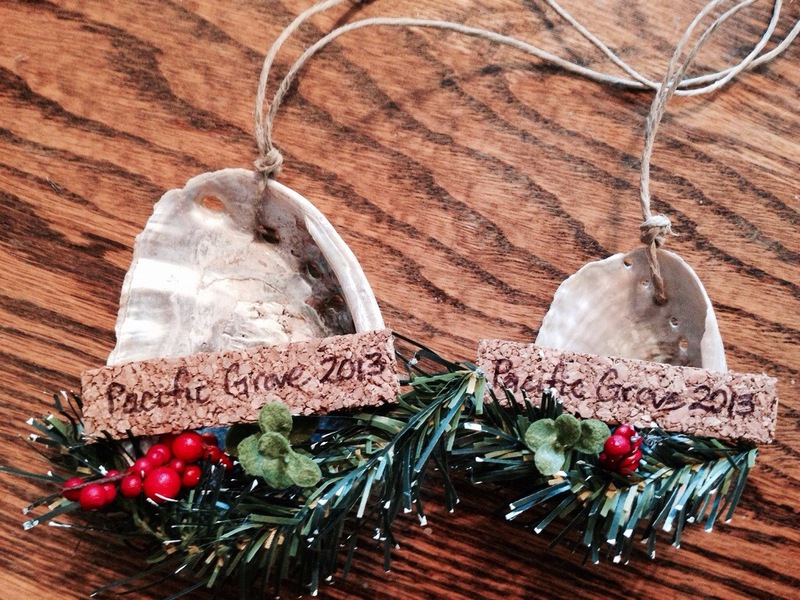 Next write your message on the cork or wood that is cut to the appropriate dimensions for your shell. 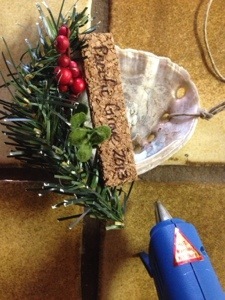 Then bend the piece of wire pine garland, do a quick dry run to see if the garland and cork/wood will fit the shell. Finally glue to the bottom edge of the shell the garland, then the cork/wood above it. 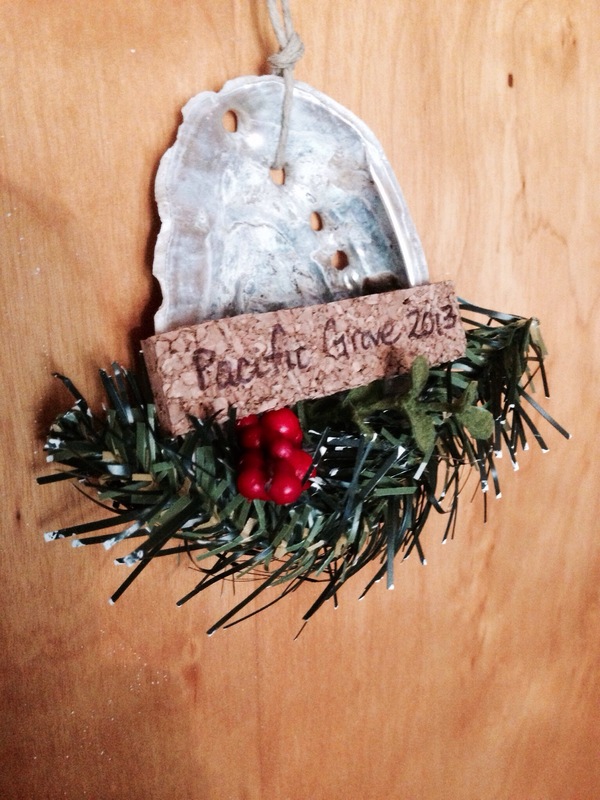 Super easy, quick and sea inspired Christmas ornament! See you next Sunday! This entry was posted in Uncategorized and tagged diy shell ornament, easy diy christmas ornament, easy quick diy presents, sea inspired christmas ornament, sea shell ornament by Tandra. Bookmark the permalink.